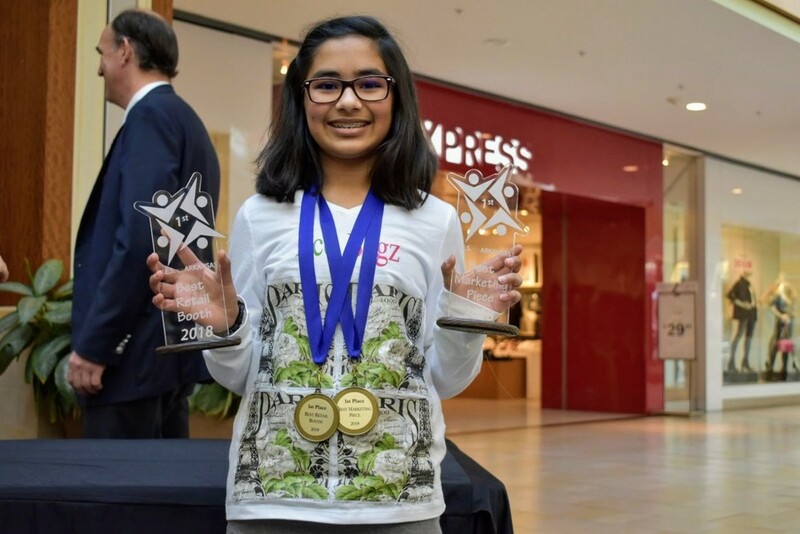 Anu Iyer, 7th grader, recently won 1st place for Best Retail Booth Display and 1st place for Best Marketing Piece in the 2017-2018 Youth Entrepreneur Showcase (Y.E.S.) held at Park Plaza mall on 1/26/18. This was the 2017-2018 Championship for Arkansas.